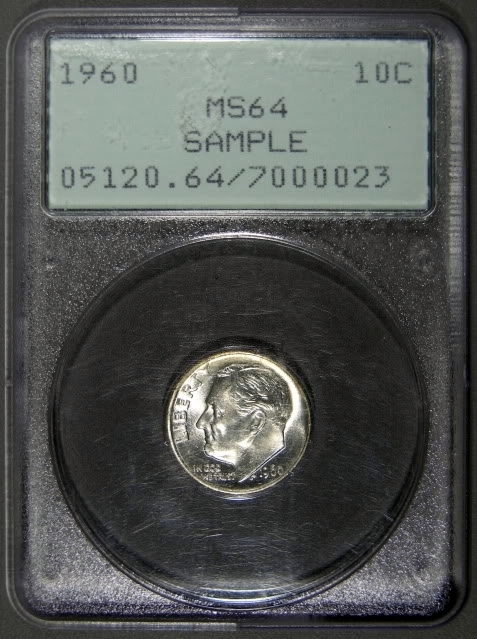 When looking at sample slabs remember, samples may be produced with several different dates and still belong to the same generation. 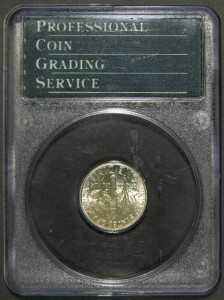 Above, we have an example of a first generation PCGS sample slabs. 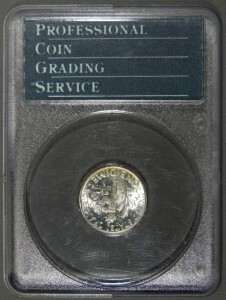 Notice the very basic label with the perforations and the number 0 across the bottom of label. 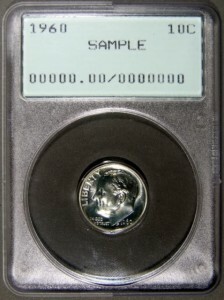 The back label has no hologram and again is very basic. 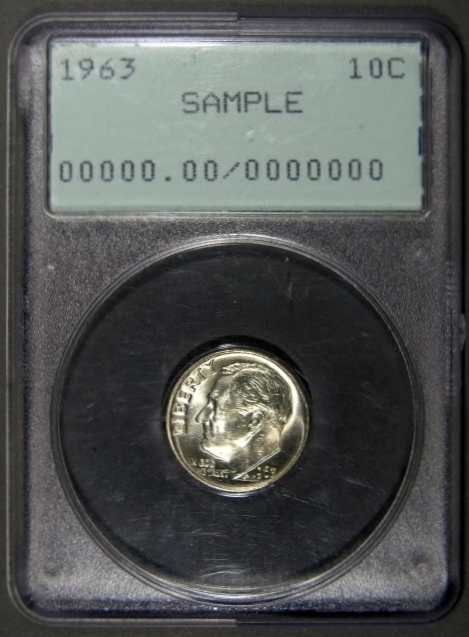 Both firsr and second generation samples were given the the nick-named “The Rattler”, because when shaken the coins inside the holder would rattle around. 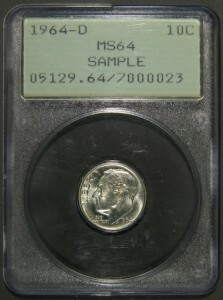 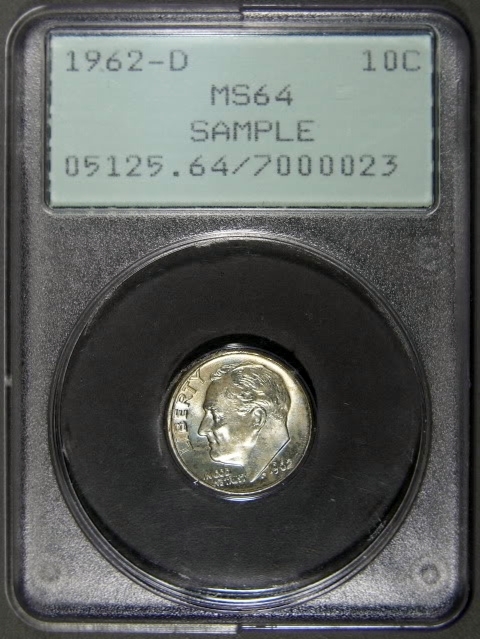 The samples above are all second generation PCGS sample slab, this sample has a grade and a serial number. 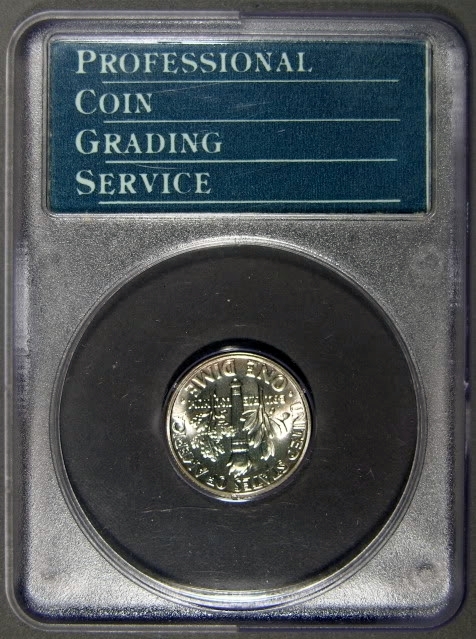 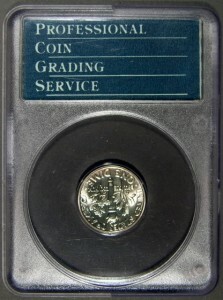 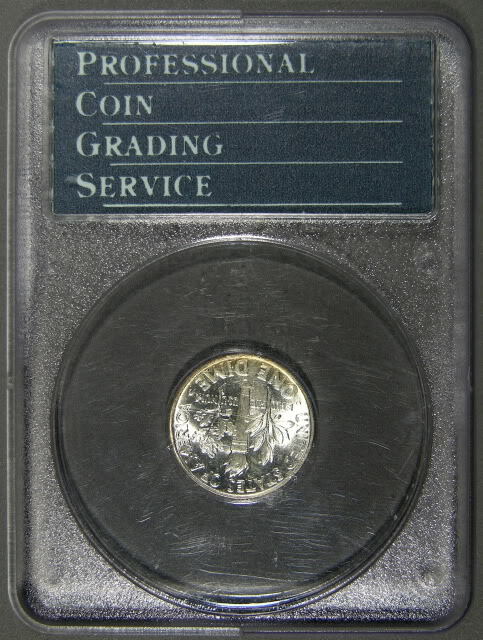 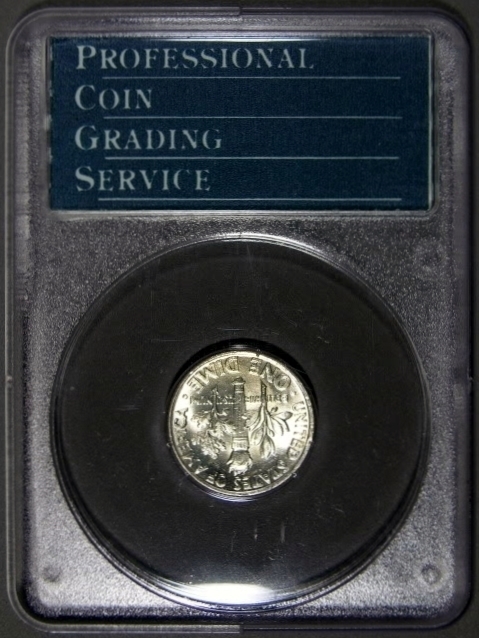 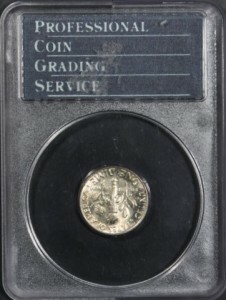 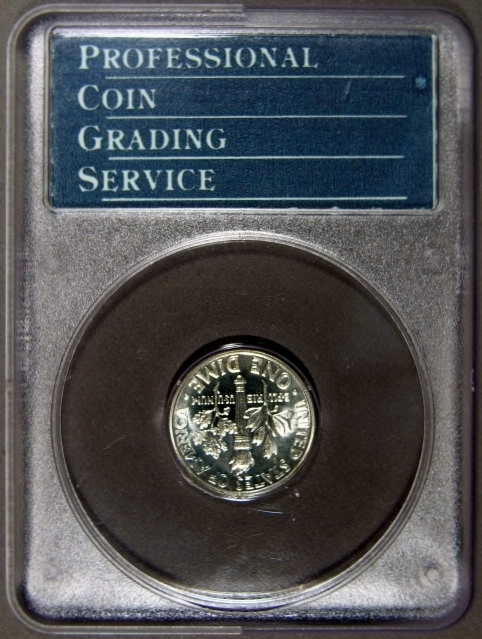 This particular sample was used by PCGS from 1986 to 1989. 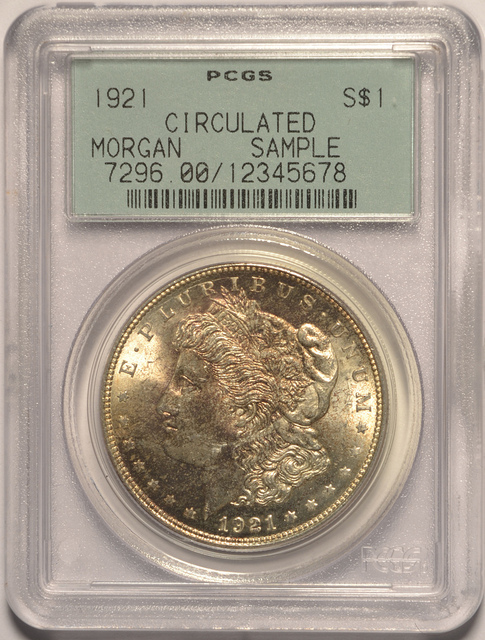 The one thing the first and second generation do have in common was the perforated label and no holograms. Hers is an example of several different dates all belonging to the same generation. 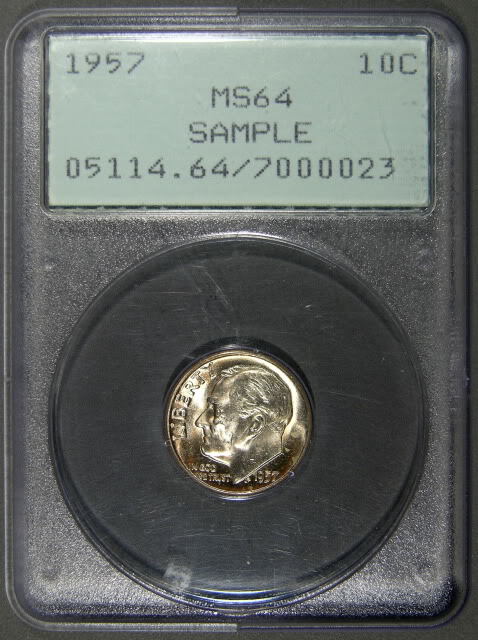 1959/ 05114.64, 1960/ 05120.64, 1961-D/ 05123.64, 1962-D/5125.64, 1963/ 05126.64, 1963-D/ 05127.64, 1964/ 05128.64, 1964-D/ 5129.64. 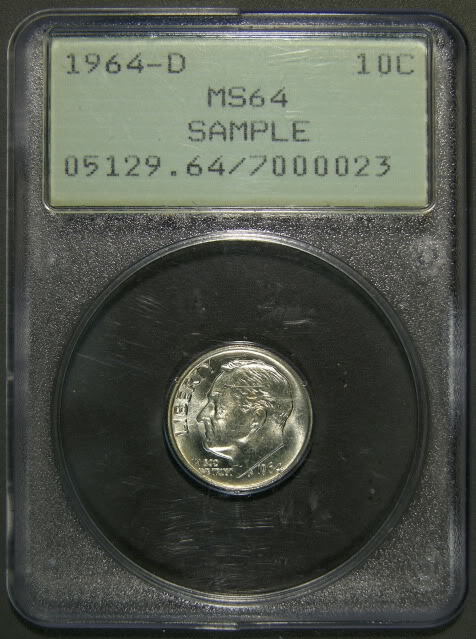 All samples ended with 7000023 and all but one where MS 64. 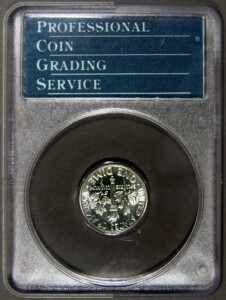 There was one graded PR. 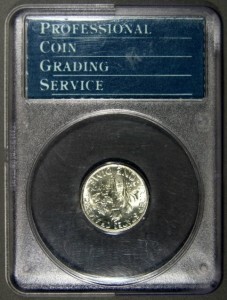 64 a 1961/ 06702.64. 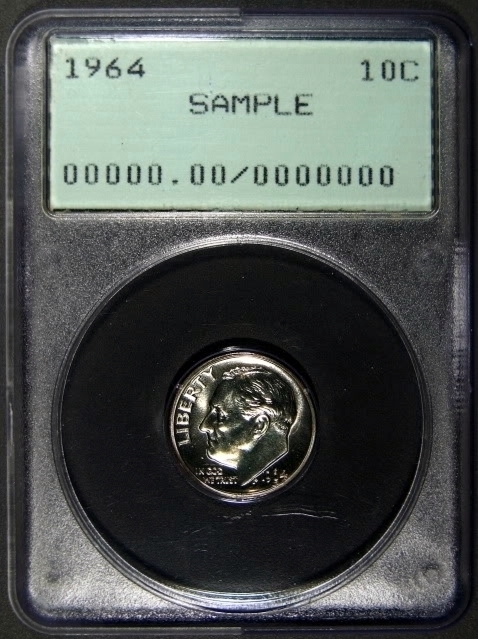 This is also the rarest of all these samples. There was one problem with this generation, the 1960 has a serial number of 5120, several samples were produced with this same serial number but had different dates. So if you have say a 1962 with a 5120 serial number you know no why. These may both be classified as rattlers but since the labels are different the slabs are now different. Rattlers with all zero’s and a mint state or proof coin are the same as only the coin changed and not the rattler or the label. Rattlers with s/n 7000023 sample do have a MS64 grade and PR64 grade. 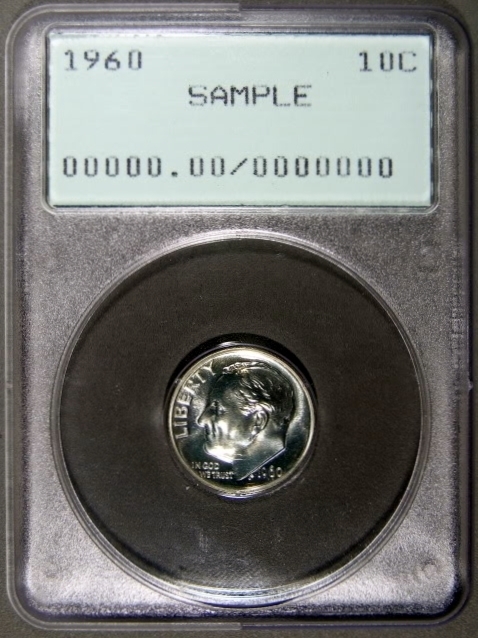 I consider these to be different types since the coin and the sample label are different.